The Leonids are one of the most characteristic meteor showers. They are given this name because they appear to radiate from the area of the sky occupied by Leo ; that is, their radiant is situated there. It is necessary to remember that a meteor shower consists of lots of meteors (what we commonly call shooting stars) falling from the space into Earth's atmosphere. for dates near the maximum (the middle of November). In order to know the dates and hours of maximums with accuracy to look predictions up is needed. Meteors can be just like little dust specks or, the other way round, enormous rocky fragments. Terrestrial atmosphere are continuously receiving objects of this type, but concrete dates exist when the rate of arrival grows considerably and then it is said a meteor shower to go on. Meteors, when arrive to the atmosphere and move through it, are suddenly heated by friction and burn up giving rise to the amazing characteristic traces. Most of the meteor showers have their origin in comets . These objects are made of ice and dust (that is why they are often called dirty snowballs) and when they arrive near the Sun , their iced parts partially evaporates and then dust is thrown out and can remain trapped in the orbit of the comet . 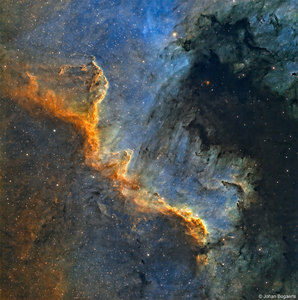 Usually, the distribution of the dust through the orbit is not uniform. The comet which generates the Leonids is Tempel-Tuttle , that has a period of 33 years. When this comet pass near the Sun , it throws out part of its matter and considerably fills that area of the orbit with particles. Every year, on 17th or 18th November, the Earth intercepts Tempel-Tuttle 's orbit and fragments one day thrown out by the comet fall down through the atmosphere and a meteor shower occurs. If this interception takes place a short time after the comet has passed by (once every 33 years) the meteor shower is very intense. That is what we commonly call a "storm", when observing some thousands of shooting stars per hour is possible. and also the orbit of the fragments that give raise to the Leonids. On February 1998, Tempel-Tuttle visited the inner parts of the Solar System and as a result very intense meteor showers have taken place since that moment. For instance in 1999 , 3700 shooting stars per hour were observed during the maximum, and in 2002 to count up to near 3000 per hour was possible in spite of the maximum coincided with a very brilliant full Moon . The Leonids are usually fast meteors that can reach the top of the atmosphere with more than 200,000 km/h. Moreover, they usually have an important number of brilliant meteors, many of them being able to leave eye-catching trails which can be visible through some minutes. 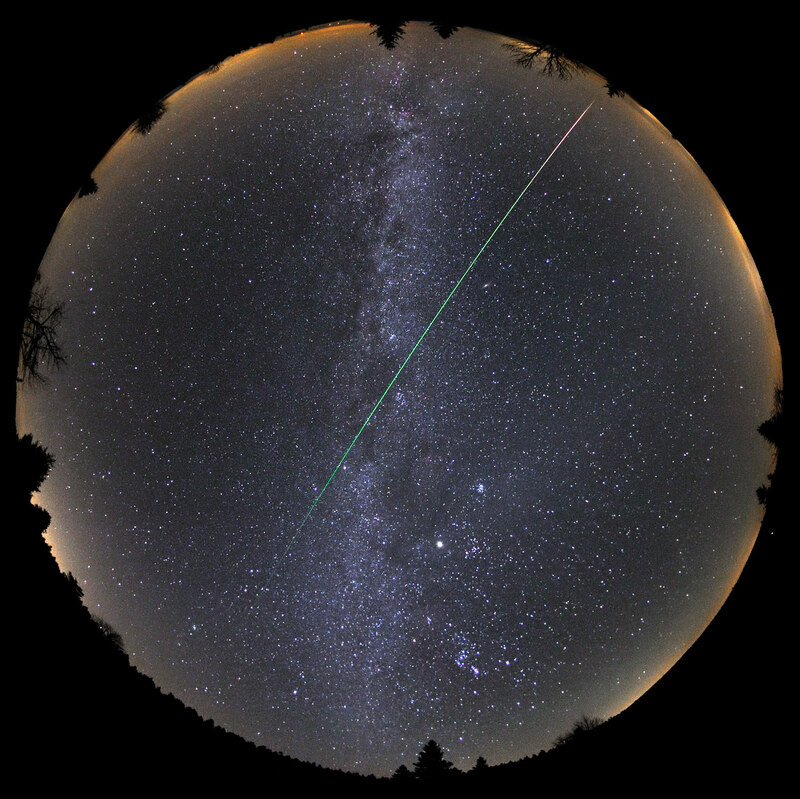 Acknowledgements: Some images and data have been obtained from Gary W. Kronk's Comets & Meteor Showers . Considering the predictions made by Mikhail Maslov based on models Lyytinen & Van Flandern, we obtain following intensity peaks: the first peak occurs on 17 November with a peak at 21h UT. This maximum is attributed to background particles left by the comet Tempel-Tuttle. It is, therefore, a direct interception of the stellar particles. 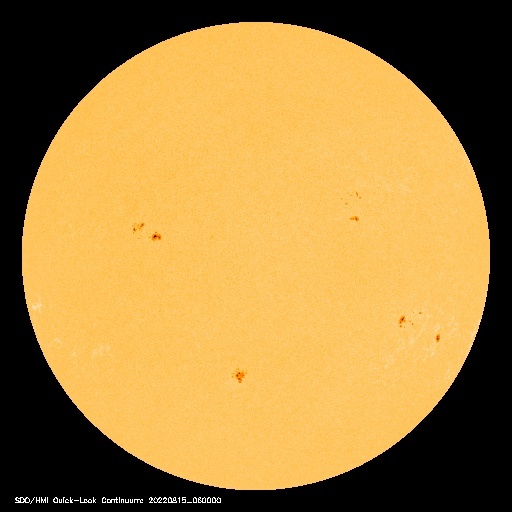 According to the IMO it will occur at solar longitude 235.27 °. As in 2011, its intensity is expected to be very low, around ZHR = 10. After 17 peak the activity is expected to begin to decline and on November 19 at 19:20 UT reaches a minimum of about ZHR = 2. Still fluctuations may occur resulting on the possible action of a slight trace left by the passage of the comet in 1567. The second interesting moment will occur on November 20 at 5:36 UT. Being quite distanced in time compared to the first peak is expected to be fairly easy to see. This maximum is due to the wake produced by the 1400 pass of comet Temple-Tuttle. It is estimated that the number of meteors per hour will increase to 15 but the brightness decreases slightly. November's waxing Moon is excellent news for either date, as it will set before or soon after the time the Leonid radiant first becomes usefully-observable, by local midnight or so north of the equator, afterwards for places further south. The November 17 maxim would be best-detectable from North American, and Middle East to Asian longitudes respectively, while that on November 20 would be similarly available from places between eastern North America east to extreme western North African longitudes. Send us your photographs to the mail serviastro@am.ub.es !!! We will post them on this web page so that everybody can contemplate them.